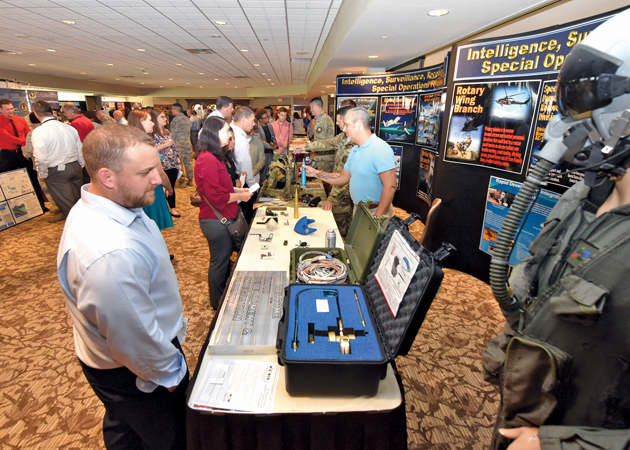 Newcomers Expo attendees learn about the work and mission of various directorates across the Air Force Life Cycle Management Center, Oct. 3, 2018. Events to draw new talent to Air Force Materiel Command are planned throughout 2019. 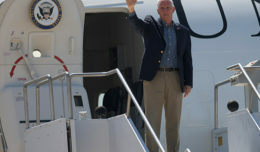 WRIGHT-PATTERSON AIR FORCE BASE, Ohio — With a command mission that relies heavily on a more than 65,000 person civilian workforce, recruiting, developing and retaining top talent is critical to success. This is the driving force behind the ongoing AFMC effort to transform the civilian hiring process across the enterprise to meet mission needs today and for the future. Recent hiring events lead by the Air Force Life Cycle Management Center at the Kessel Run project in Boston and at Eglin AFB, Florida, provided prospective employees the opportunity to register, interview and receive on-the-spot job offers, filling a number of open positions at one time. More than 90 same-day offers were made at the two events. 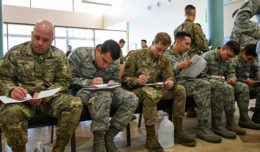 AFMC improved its civilian hiring timeliness by 12 percent in fiscal year 2018 and plans to continue finding ways to speed up the employment process. Four major hiring initiatives are providing positive returns, particularly when coupled with continued process improvements in all talent acquisition areas. The establishment of a non-competition cell to process non-competitive hiring actions such as temporary promotions or management reassignments helped human resources teams close more than 3,000 actions in the past six months, with an end-to-end average of 31 days—less than half the time of the previous average of 70 days. 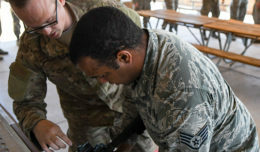 A two-year civilian hiring pilot program that realigned Air Force Personnel Center operating location manpower and resources at Hill AFB, Robins AFB, Tinker AFB and Wright-Patterson AFB to AFMC began in Oct. 2018, and is better positioning the command to identify and implement process change and efficiencies across the enterprise. The realignment also provides opportunities for teams to identify best practices at individual locations that can be leveraged as enterprise-wide solutions. At the Air Force Sustainment Center’s Warner Robins Air Logistics Complex, at Robins AFB, Georgia, the Pre-Employment Process Center model is used on a biweekly basis to fill open positions at the center. At the PEPC one-day hiring events, candidates are interviewed, receive a tentative job offer, complete pre-employment requirements such as physicals, drug testing and fingerprints, and leave with a firm job offer and projected start date. The average total time to complete the process is less than three hours and has resulted in 500 firm job offers to date.